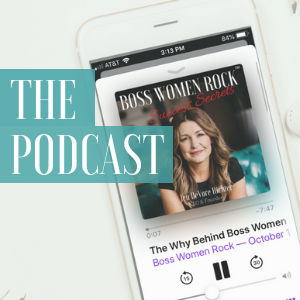 The results of this approach include reduced career burnout, financial magnetism, and being seen as an industry leader – key concepts which can lead to greater income, influence, and impact. 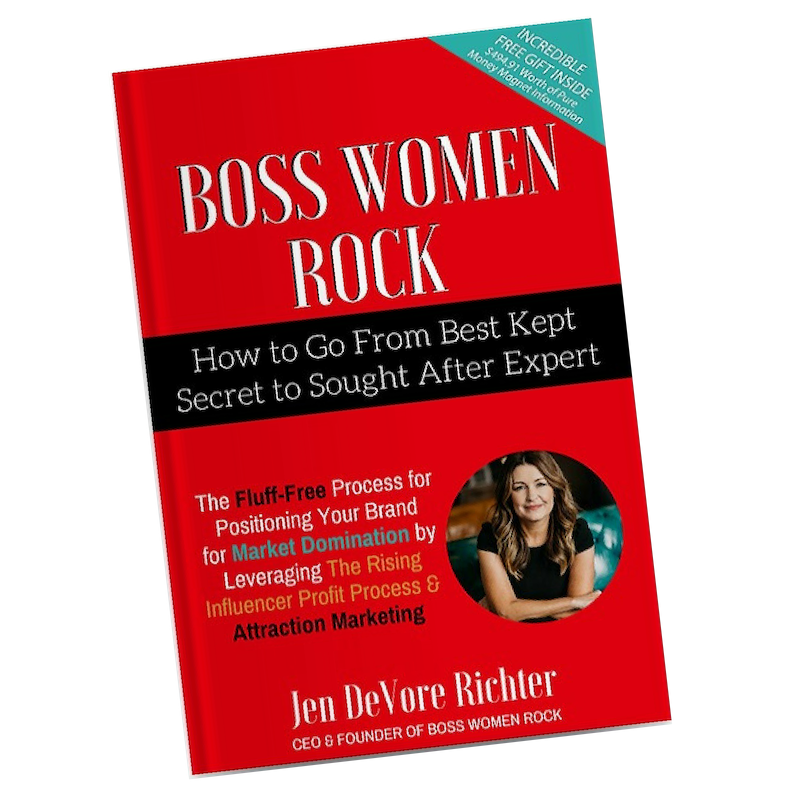 Jen’s fourth book Boss Women Rock: How to Go From Best Kept Secret to Sought After Expert is now available on Amazon. 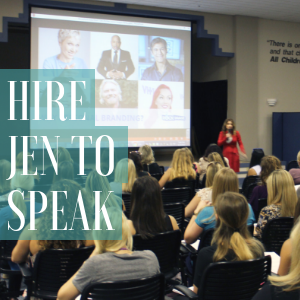 Jen’s mission is to inspire and empower women to do and be ALL things. Break down success barriers and receive a proven framework for achieving results in less time. Jen Richter is an absolute ROCKSTAR! She spoke as a panelist for the 2016 Jacksonville Women’s Leadership Forum on being a resilient leader and navigating social media while creating your personal brand. The attendees loved her perspective and the stories she shared. My favorite thing about Jen is her infectious personality and energy which comes across whenever you are in her presence. Her knowledge and willingness to try new things to meet the needs of her clients sets her apart from others in the industry. THANK YOU JEN for being a panelist in the 2016 Jacksonville Women’s Leadership Forum and I can’t WAIT to see what you do next!! Poised and articulate, Jen brings glamor to branding. Whether she is diving into an improvised skit or speaking in front of a crowd, Jen's energy, passion, style, and charisma sends home the message. Consummate professional, easy to work with. 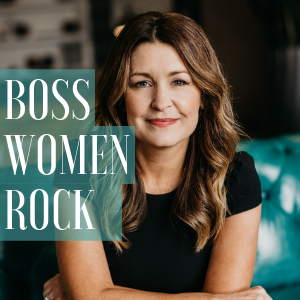 Jen's confidence, focus, attention to detail and driven personality are just some of the reasons she continues to be a tremendous example to all those around her and why I highly recommend her. The responses from the students about you were very good. They expressed many thanks to you for informing them about what they have to do in the social media marketing class and in college in general. I also express my thanks to you for helping my students. It was a good opportunity for them to learn from a person like you who runs a real business outside the classroom. Thank you for your card as well!! Not only is Jen's expertise on target, but her attention to detail, precision, and creativity insure that any project completed truly "Rocks". However, most impressive and admirable is her personal integrity and dedication. Jennifer was the featured speaker for our UNF PRSSA Digital Marketing Panel event. Her presentation was an inspiration to so many students, showcasing her perspective as a business owner in the digital marketing industry. 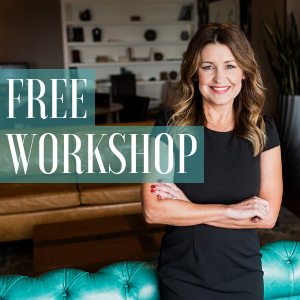 It was empowering and insightful to discuss narrowing our focuses to master a specific skill set and sell it to potential employers and clients. We are so grateful to have the opportunity to learn from her. Jen, I also want to thank you on behalf of the students who, I am sure you can tell by their questions and curiosity during and after your lecture, were greatly inspired. I’m certain it was a memorable and exciting experience for this group. Jen, A great big huge thank you for taking the time to present to us. The ladies loved it and I have gotten such great feedback. I really appreciate it. Thank you so much for speaking to our chapter today! Your presentation got me really looking at my business, strategies and the type of marketing I do. Great job! Encouraging- Challenging- Inspiring- Welcoming!